The concert features the world premiere of “Magnificat” by Travis Ramsey and includes works by Rutter, Pachelbel, Victoria, Carrillo, Abels and others. 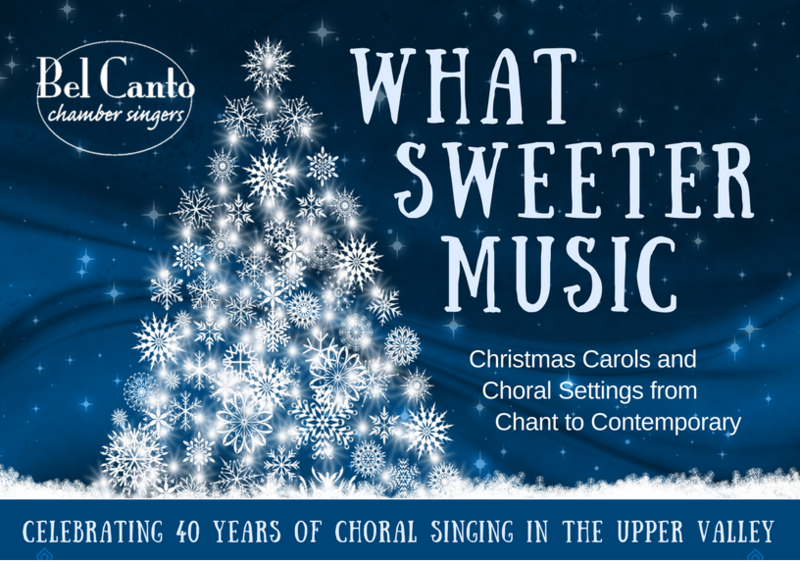 Performances are at the First Congregational Church, On the Green, in Lebanon, NH, on Saturday, December 9, at 7:30pm and Sunday, December 10, at 4:00pm. Jane Woods is music director with accompaniment by pianist Pierre Fornier, strings and flute. Prices are $15, adults, $10, students and free for children 12 and younger. Seeking Interim Director, White River Indie Films (WRIF), WRJct. Seeking Interim Director, White River Indie Films White River Indie Films (WRIF) is seeking an interim executive director with experience in film festival organization, management, and promotion.